I love the drink named the Negroni. It’s bright, refreshing and quenches the thirst, unlike many cocktails. It never leaves me feeling drab, nor does it take away my appetite like some other cocktails do when sipped before a meal. In my upcoming book, Apothecary Cocktails, Restoratives from Yesterday and Today, I discuss the correlation of the digestive tract and healing, by using liquors mixed with fresh herbs. If only the pharmacists from years back had known about the Negroni as a healing curative! Well, in a way they did. The Negroni was invented back in 1919 in Florence, Italy – purposively built to heal what ails you. Orson Wells famously said in 1947 that, “The bitters are excellent for your liver, the gin is bad for you. They balance each other.” I don’t know about you, but I think gin is good for you. Perhaps Mr. Wells had it altogether incorrect. The entire drink is good for you. Gin, after all, was used during the Middle Ages as a curative for the Black Plague. And Vermouth has long been held as a curative for many internal battles surrounding the digestive glands. 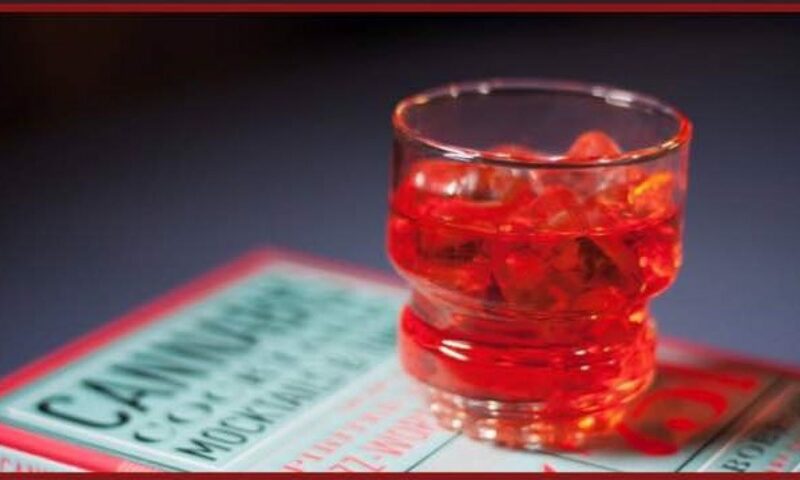 The history of the Negroni involves a base spirit, like gin, plus bitters and vermouth. I enjoy my Negroni Cocktail with the powerfully intoxicating Caorunn Gin from Scotland. Distilled with a healthy smack of the juniper berry and woven into a backdrop of citrus with a hefty punch of alcohol, the Caorunn Gin just tempts me to have another. Combined with the syrupy and complex Carpano Antica Vermouth and the historically correct Campari Bitters from Italy, the Negroni speaks very clearly of getting buzzed with the minimum of effort. I just sipped my Negroni down and absolutely feel no pain. And why would I, with the application of my finger to stir this magnificent cocktail? My friend Gary Regan stirs his with his finger so why shouldn’t I? Well the reasons are numerous why you should not stir your cocktail with your finger. Cleanliness has something to do with this. But I suppose if you dipped your finger in your tri-sink filled with disinfectants and cleansers, you’d really have nothing to worry about as long as you were in your own home. I always use a cocktail spoon when working behind the bar so not to upset my customers! The drink shown was mixed with my own finger… far away from any paying customers! 1. Wash glass out inside and out with cool water. 2. Dry carefully with a soft towel. 3. Pack with ice and water. 4. Carefully measure out your ingredients, pour out the bar ice and water. I also use a couple large hand-cut cubes of ice from the Williams Sonoma silicone ice cube tray. But most importantly, I filter my water first with ice made from from my Mavea “Inspired Water” filter. With this magical device, my ice nearly freezes crystal clear. A far cry from the ice that comes out of the ice machine in the fridge. 2. Add Sweet Vermouth – I ALWAYS USE Carpano Antica for the second step. 3. Add your choice of Gin. In this case I used Caorunn Gin from Scotland. Caorunn is liberally flecked with citrus fruit woven around the haunting elegance of the moors at night. 4. Add The Bitter Truth Lemon Bitters.